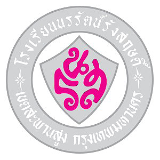 Norrarat Rangsarit School is looking for a full-time PE/Health teacher to teach PE and Health subjects in the new academic year starting early May 2019 until February 2020. Norrarat Rangsarit School is located in Moo Baan Nakkeela Village which is a short 10-minute ride from the Airport Link’s Baan Thap Chang station, Saphansoong District, Bangkok (Ramkamhang/Srinakarin areas). - Teach PE, Health, as well as PE clubs and boy/girl scout activities using English as the medium. - Assist with English classes and activities as needed. - Prepare lesson plans, teaching materials, and student progress/grade reports. - Assist class Thai teachers and staff, as needed. - Salary of 24,000 baht per month. (10-month contract from May 2019 – Feb 2020). - Non-B visa and work permit processed and paid for by the school. To apply, please send your CV and a recent photo to top@nrs.ac.th.